The CCMT counselling schedule for GATE 2018 has been released at the official website. Candidates can register from 03 April 2018. 27 March 2018: The schedule for Centralized Counselling for M.Tech./M.Arch./M.Plan./M.Des. (CCMT) 2018 has been released. CCMT is an online admission process for all NITs (National Institutes of Technology) and other Centrally Funded Technical Institutes (CFTIs). Candidates can check the list of ‘Participating Institutes’ in the official brochure. As per the schedule released on CCMT’s official website, the counselling process will begin from 03 April 2018. Admissions to PG courses in Engineering, Technology and Architecture will be done through CCMT counselling on the basis of GATE scores. 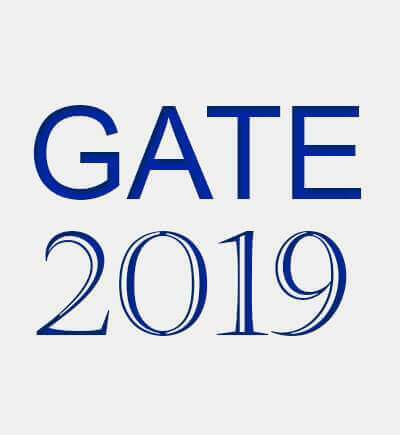 GATE 2018 score cards were released on 20 March after the declaration of GATE 2018 result on 16 March 2018. Online Registration (Choice Filling and Locking). Online seat allotment, fee payment and personal reporting at the college allotted. Online Registration (Choice Filling and Locking): Here the candidates have to register themselves online and provide their choices for colleges and courses. Online seat allotment, fee payment and personal reporting at the college allotted: Seats will be offered on the basis of choices provided in the first phase in the order of merit. Candidates have to personally report at the college allotted for the counselling process. For complete schedule of CCMT GATE 2018 counselling, click here.